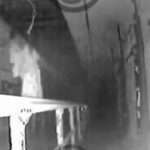 Alcatraz Ghost: A photograph of a ghost-like figure appearing at the window of an Alcatraz prison block has baffled the couple who took it. 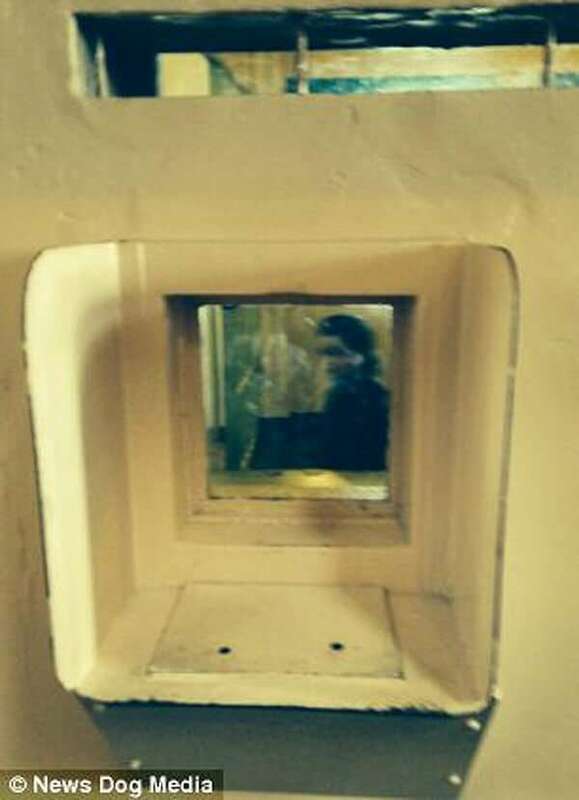 The spooky picture was taken by Sheila Sillery-Walsh at Alcatraz Federal Penitentiary, off the coast of San Francisco, California. 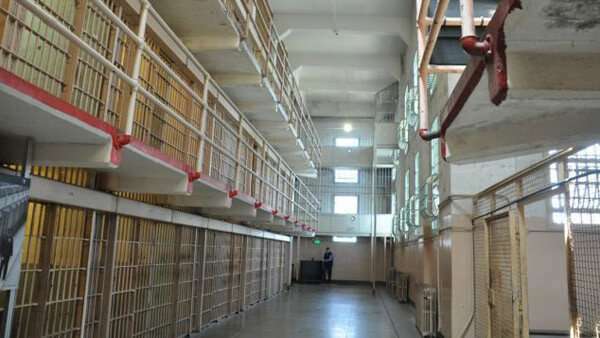 The former prison site, long considered to be one of the most haunted places in the US, was once home to hundreds of notorious murderers, bank robbers, and gangsters such as Al Capone. 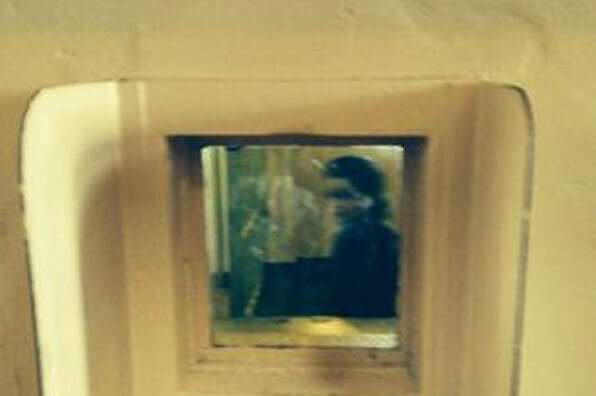 In the spooky image, the shadowy girl can be seen staring directly through the window at the camera from inside the inmates’ visitation waiting room. 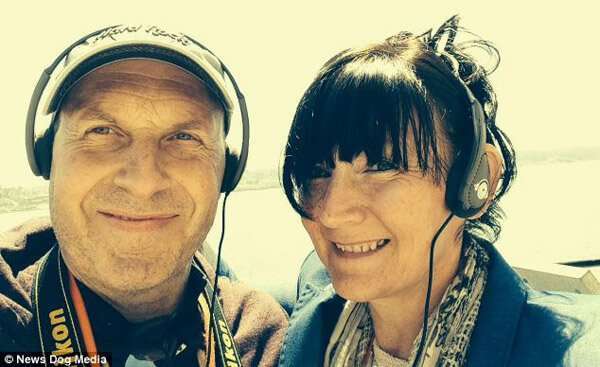 Teaching assistant Sheila Sillery-Walsh from Birmingham took the photo on her iPhone 5c when she visited the former prison in April while on holiday in San Francisco with her partner, Paul Rice. 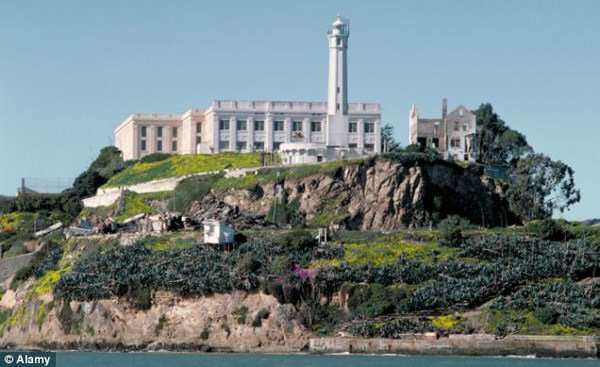 The 48-year-old said: ‘Alcatraz Penitentiary is a must-see for any tourist. However as soon as we entered the prison, everything felt very eerie. I didn’t feel comfortable there. ‘Whilst doing an audio-tour of the place, I casually stopped to take a snap of the empty visitation block window on my iPhone. 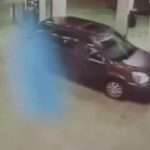 ‘When I glanced at the photo on my mobile, I saw this dark female figure in the picture. I looked at the window again and there was no-one in the room. ‘I knew straight away that the woman in the photo was a ghost and showed the snap to Paul. 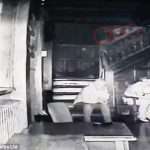 Mr Rice has never believed in ghosts but admits that the strange snapshot has shaken his confidence. The 50-year-old explained: ‘When I first saw the photo, I tried to rationalize the female figure away by saying it was just Sheila’s reflection. ‘But with closer inspection, it’s obvious that this is not the case at all. The woman’s hair and clothing is from a different era – it looks like she’s from the 1930s or 40s. ‘I have no logical explanation for the girl in the picture – I’m baffled by her! It’s funny because she’s staring right at the camera, with a knowing look. The couple have tried to find out the identity of the ghostly woman in the photo by contacting staff at the Alcatraz site, but none of the old-timers could recognize the woman in the picture. ‘I am so curious to know who she could be though – perhaps she was a female visitor of a prisoner who kept returning back. I would love to know why she’s shown herself in my photo. Alcatraz Federal Penitentiary was a maximum high-security federal prison, which operated from 1934 to 1963. 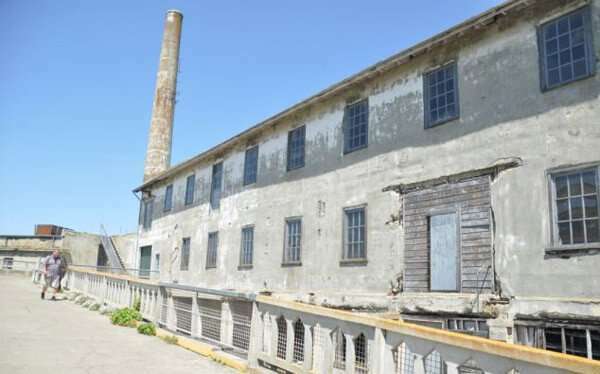 Although officials for Alcatraz publicly dismiss reports of ghosts at the site, several former guards and park rangers have revealed their paranormal experiences at the prison.